Many in HR leadership focus on “getting a seat at the table.” However, if you want everyone to see and acknowledge your accomplishments, HR leaders need to go a step further and also be prominently featured in the annual report. That placement is critical because the primary purpose of the annual report is to highlight the corporation’s performance and strengths. So barely being mentioned leaves the impression among both insiders and outsiders that your function had little business impact. Unfortunately, it’s not that unusual for HR to be barely mentioned in an annual report. Being slighted in this strategic document can be an indication of how board members and executives view HR. The primary purpose of an annual report is to make current and future investors fully aware of the performance, the strengths and the direction of the corporation. So when HR is not prominently featured, it means it either didn’t have much of an impact on the corporation’s performance, or more likely, the cause for the slight was that HR leaders failed to make a convincing case for including the many HR accomplishments over the year. And no matter the cause, failing to be prominently mentioned in the annual report can only further diminish the status of HR. Impacted strategic goals and organizational performance. Increased corporate revenue growth and profit. Involved significant budget expenditures or high rates of return. Cover significant business challenges and risks that investors should know about. Cover added programs or actions that enhanced our firm’s strengths. As a high-cost budget item, HR should be covered — In organizations without many large capital expenditures, often the single highest cost items are employee salaries, benefits and HR operational costs. Combined, this can be as much as 60% of the corporation’s variable expenses. And as such a high-cost item, the impact of that expenditure should be thoroughly covered in the annual report. Workforce productivity demonstrates HR’s ROI – Because it is such a high-cost item, it makes sense for the corporation to show the economic return it received as a result of its investment in employees. And the commonly accepted indicator revealing that employee dollars were spent wisely is the overall productivity of the workforce. Workforce productivity can be simply measured by the revenue per employee (divide the total corporate revenue by the number of employees). Or more precisely, productivity can be revealed using the ratio between the dollar value of labor outputs compared to dollars of labor costs. Major corporate challenges should be highlighted – The 2016 Conference Board survey of CEOs listed human capital as the #1 global business challenge facing CEOs for the fifth year in the row. Much of this challenge stems from the continuing struggle to recruit and retain top talent with the right skills. Since all organizations are suffering from this talent challenge, it makes sense for those firms that are excelling in the talent area to highlight their successes in the annual report. Because hiring contributes to corporate growth, it should be highlighted – If the organization is attempting to grow at a rapid rate, the ability to add large volumes of skilled talent rapidly through hiring becomes a critical growth factor. In these cases, the success of recruiting in providing the volume, speed, and the skills that are essential for growth should receive prominent mention. If your recruiting function made some significant hires that included industry icons or senior executives during the past year, fight to have those mentioned in the report. In addition, when the corporation is expanding into new technical areas like AI, HR’s success in staffing and developing employee skills in those new areas should also be highlighted. Because leadership development allows corporate growth to continue, it should be highlighted – Investors are routinely interested in the ability of a corporation to prepare for the future. So it’s essential that HR push coverage of the impact of its leadership development, workforce planning and succession planning efforts on providing the firm with enough leadership in order to continually grow. Highlight HR’s critical contributions to innovation – Since high margins and an expanded market share often come from product and service innovations, it makes sense to highlight them. However, because all innovation comes from humans, it also makes sense to highlight the proactive approaches and policies that HR used in order to maximize the number of implemented innovations that occurred during the year. Reveal the strength of the corporate culture and its impact on organizational performance – Wise investors understand the tremendous impact that the corporate culture has on organizational performance. So make a case for mentioning the strength of the corporate culture and the aspects of the culture that impact corporate growth and innovation. Major risks must also be highlighted – Most annual reports inform shareholders of potential risks facing the corporation. And in today’s highly volatile talent marketplace, the risk involved in losing critical employees to turnover it is too high to be ignored. The risk is high because low unemployment is increasing the probability of losing top talent. And there are tremendous costs involved, not just in replacing employees, but also because losing experienced talent can severely limit product development and operational excellence. That high impact suggests HR should highlight not only turnover costs in dollars but also the approaches the firm is taking in order to successfully minimize high-value turnover. Every corporate strategic goal should be highlighted – Obviously because the annual report covers strategic issues, it makes sense to highlight each of the functional areas that significantly impacted each strategic goal. HR often impacts strategic goals like revenue generation, product development, innovation, customer service and corporate growth. HR must work with the CFO’s office in order to show the impact of HR’s actions on these goals. In addition, many organizations have made diversity a strategic business goal. And as a result, both the percentage of that target that was met and the dollar impact of diversity on the corporation’s performance should be highlighted. And don’t forget to quantify the total impact of human capital investments — Even if you don’t get the impacts of individual HR programs mentioned in the report, it’s essential you work with the CFO’s office in order to quantify the total impact of the firm’s investment in its human capital. In most cases, that would be reflected in the improvement in the revenue generated per employee over last year. But be careful of reporting headcount changes because they don’t reflect actual dollars. Instead, include the actual change in overall employee salary costs. If you decide to try to influence annual report writers to expand their coverage of HR dramatically, here are some tips on how to successfully influence them. Realize that the inclusion process is political — It’s important to realize that in many organizations what is included in the report can be significantly influenced by corporate politics. So be ready to use your existing relationships to help you understand and then influence the annual report editors and decision-makers. Work with the teams that create the annual report – In most organizations, some combination of the Board of Directors staff, the CEO’s office, the CFO’s office and an outside communications firm will be involved in the creation of the annual report. Obviously, it makes sense to work closely with each of them in order to understand the inclusion process and to supply them with information covering the impacts of HR. Identify the subject matter inclusion criteria – You should first simply ask the staff putting together the annual report to provide you with the official inclusion criteria that the firm currently uses. If that’s not easily available, you should look over several years of your annual reports in order to determine the shared characteristics of the included material. Some of the included material will be required by law or by accounting rules. As much as one-third of the material will be up to the firm’s discretion. In addition, it’s important to look at the annual reports of other major firms in your industry in order to identify which areas of HR other firms are including. Emphasize business problems over functional problems – Remember that investors are concerned about major business problems. So in a strategic report, information on most tactical or functional problems will be automatically omitted. So start any narrative by mentioning business problems and opportunities (like sales, attracting customers and customer service) and then show how HR actions in recruiting, retention, etc. directly impacted the results in those business problem areas. Show the financial impact of HR results – Because much of the content of an annual report is financial, it is essential that HR work with the CFO’s office to present HR results so they mirror the financial results. The most successful approach involves converting HR results to their dollar impact on corporate revenue. For example, if HR directly impacted corporate sales by hiring and training salespeople, those results should be written up and quantified so they reflect the increased sales after the HR effort. 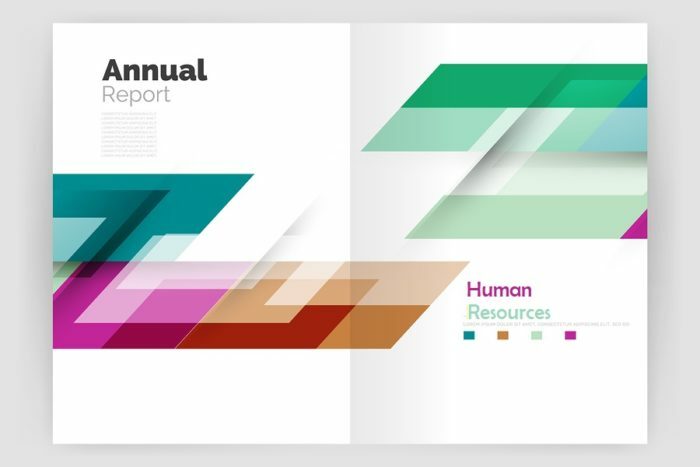 Miscellaneous inclusion tips – When the editors of the annual report agree to cover an HR area, make sure the write-up exclusively uses the language of executives, instead of “HR speak.” Also, include some key employee quotes that reflects the strength of HR and the company culture. Although it is desirable to be mentioned in every area of the report, any mention of HR’s contribution will most likely occur in the general operations overview section or the message from the CEO. Even though most HR leaders don’t seem to take the lack of inclusion of HR results in the annual report seriously, that view is not held by others in corporate leadership positions. They strive and even fight for every sentence where they are mentioned. One of the purposes of an annual report is to essentially brag about corporate accomplishments. HR leaders must realize that barely being included in the report makes it appear that HR has had only a minor strategic impact. This underrepresentation may have further ramifications including a loss of prestige and reduced funding for HR. It’s time to realize that even though HR leaders themselves know HR has a huge financial impact on the business, it is no longer acceptable to make it difficult for board members, executives and investors to learn about and fully appreciate that financial impact. Author’s Note: If this article stimulated your thinking and provided you with actionable tips, please take a minute to follow or connect with Dr. Sullivan on LinkedIn. You can also browse his many talent related articles on TLNT.com or on his website at www.DrJohnSullivan.com.